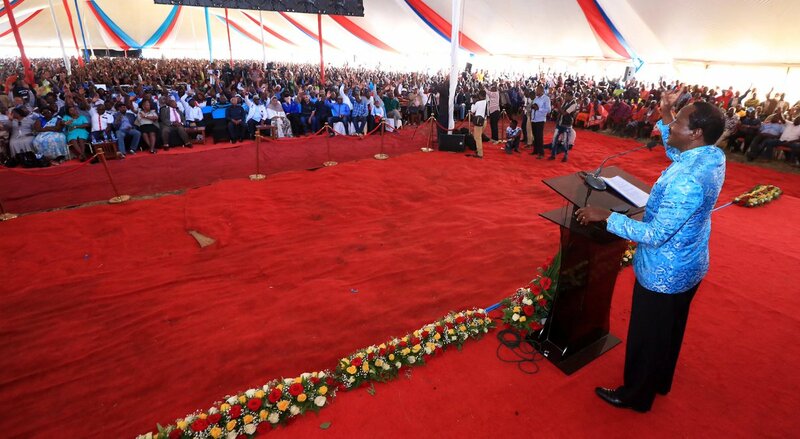 Saturday February 9, 2019 - Wiper Party Leader, Kalonzo Musyoka, has shocked the Kamba nation after he announced that he was ready to support President Uhuru Kenyatta's bid for a third term in office. Speaking during a meeting of Kamba leaders in Machakos County, Kalonzo stated that the constitutional review process was unstoppable and called on leaders from other communities to support President Uhuru Kenyatta even if he wants to go for another third term in 2022. “If he says after the new Constitution that he wants to proceed I will support him," Kalonzo declared. According to Kalonzo, there is a general consensus among Opposition political parties to team up with President Uhuru to oversee the Constitution review exercise. The announcement by Kalonzo yesterday may be what has triggered a rebellion against him in Ukambani, because from the look of things, he has no Presidential ambitions at all. No wonder Makueni Governor Prof. Kivutha Kibwana and his Machakos counterpart, Alfred Mutua, are fighting to dislodge him as the Kamba kingpin.